With its warm, inviting natural finish and solid acacia wood construction, perhaps it's easy to understand why the Hudson 6-Drawer Low Dresser remains a top choice. 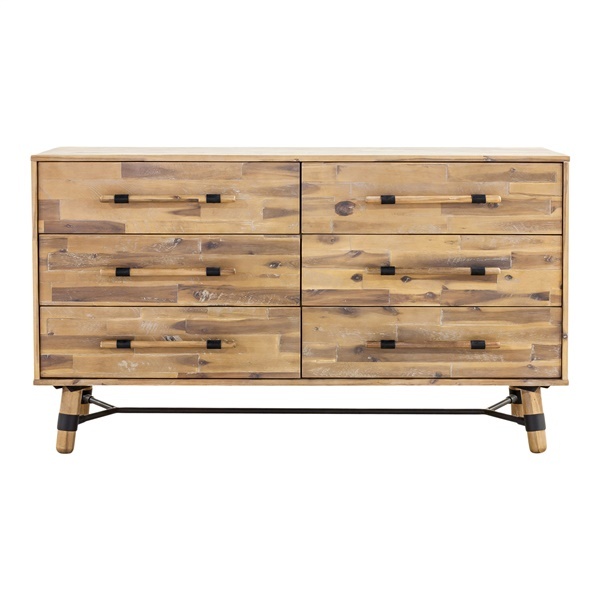 The dresser includes pencil-style legs with metal detailing and leg caps that give the piece a contemporary flair. Plus, the dresser offers six spacious drawers, making it easy to store blankets, clothing and much more. Enjoy a first-rate dresser that combines fashion and function beautifully with the Hudson 6-Drawer Low Dresser.